﻿It's a shocking state of affairs that two of our England squad should have families who fear for their safety by going to EURO 2012. Both Theo Walcott and Alex Oxlade-Chamberlain's brothers and parents have cancelled their trips to Poland and the Ukraine citing "possible racist attack". ﻿But the FA, who are supposed to "Say No To Racism" and seek to "Kick It Out" are impotent to do anything about it. They're hamstrung. Why? because John Terry's in the England squad. The former captain's awaiting trial for allegedly racially abusing Anton Ferdinand during a Premier League game at Queen's Park Rangers last October and now won't take place until after EURO 2012. District judge Howard Ribble ordered that Terry should only stand trial from July 9th because a number of Chelsea players won't be available to appear as witnesses until the end of the tournament. 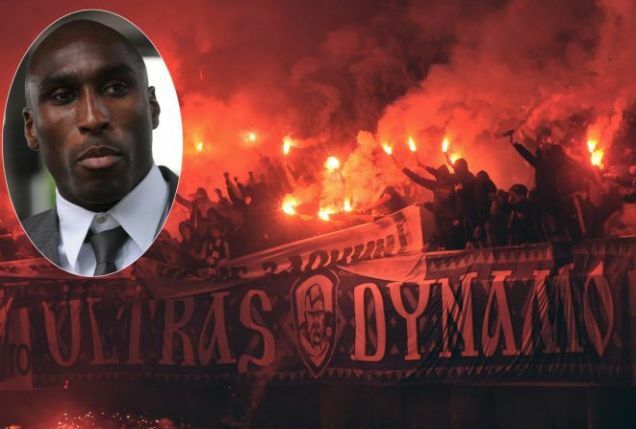 And another former England defender, Sol Campbell's urging fans not to even bother going to Europe's festival of international football, lest "they might return in a coffin". Stay at home is the former Tottenham and Arsenal man's advice. Racism is rife in Ukrainian stadia and unsegregated attacks on opposition fans is commonplace. By claiming Terry's selection was based on a footballing decision only, the Chelsea skipper can come along for the ride and escape punishment until it's safe to venture out in July, a full six weeks before the start of next season. These FA, FIFA and UEFA initiatives are mere empty husks when push comes to shove. Nothing ever comes in the way of a tournament, even issues of basic morality - and sadly, Walcott and Oxlade-Chamberlain will have to show extra professionalism to get on with their game. It's mere box-ticking by these governing bodies to show they do act against the scourge of racism, but if they really meant it, the FA would've dropped Terry, threatened to boycott EURO 2012 alongside other leading nations - and got the tournament moved to a country where people can live and work decently. Sol speaks out against Ukrainian racism. That Ukraine and Poland are racist societies is no surprise to me. Their sleepy evil backwaters for a reason. It's because throughout the last 150 years, they have expelled, tortured and murdered people who weren't indigenous. My own grandfather was born in the Ukraine and was forced to leave as a child with his family. The spotlight has fallen on Poland and Ukraine only because UEFA decided to spread their western European football message to a part of the third world on our doorstep. If governing bodies won't stand up for their black players, perhaps black players might do it for themselves. Football's close season? There isn't one. With England preparing with friendlies ahead of Euro 2012, play-offs extending into the last days of May and the transfer market in full flow, Jonny explains "what happens next!" (Clue: it's Eden Hazard). Chelsea's unexpected last chance Champions League saloon! 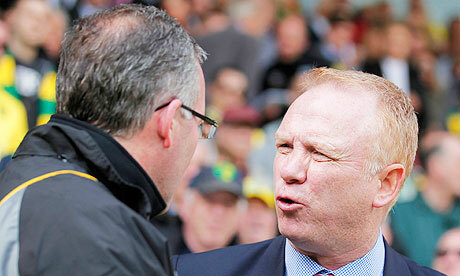 ﻿﻿Alex McLeish's left Villa Park after an ill-fated and ill-conceived year at the helm. But now the dusts settled, I must say Eck never asked fans for sympathy and rarely complained about luck and adversity. He leaves with dignity and his statement via the LMA is respectful to his former club. Good luck Eck - any boss in your position would've taken the Villa job at the time and the conditions of your arrival weren't entirely of your making. 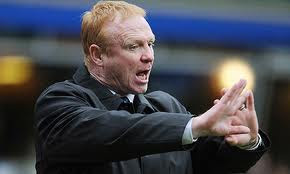 The League Managers Association (LMA) has issued the following statement on behalf of Alex McLeish following his departure from Aston Villa Football Club. Alex McLeish said, “When I accepted the role as manager of Aston Villa Football Club, I was acutely aware of the responsibility I had to find the best way to serve the great traditions of one of the finest clubs in professional football. “I was truly honoured to have been given the opportunity to manage the club, which plays such an important part in the fabric of the local community and to its worldwide fan base. “I relished the challenge and, together with my loyal and very capable staff, dedicated all of my efforts into moulding a successful team. My only regret in leaving now is that we weren't able to achieve more for the supporters and their high expectations. Expectation is at a non-hysterical all-time low as England aim to end 46 years of hurt in Poland and Ukraine. It's probably not a bad thing though. We always come home with our tails between our legs when tipped as the Golden Generation, or some such other tabloid tag. So while all the pressure's on Spain and Germany, why not dare to dream? Just don't shout about it! Here's my 2-minute podcast on Roy's selections for the European Championship, or Euro 96 as Baddiel and Skinner prefer to call it. Aston Villa's board have acted decisively in appointing Paul Lambert as their new manager. After a brief flirtation with Ole Gunnar Solskjaer, the Norwich boss was identified as the man to replace Alex McLeish, putting to an end any repeat show of the problems this time last year. Back then, indecision, rejection and fudge proved costly as the board were forced to appoint Alex McLeish. Flipping Eck, who crossed the city to Villa was fifth-choice. After weeks of rumour and fruitless negotiation, hundreds of angry fans protested at Villa Park as the man who'd relegated Blues twice was unveiled. Gerard Houllier quit before the season's end citing more heart problems, leaving Gary McAllister to caretake. Villa finished 2010-11 with a flourish: a 2-1 win at Arsenal was followed by a final day 1-nil win over Liverpool. Window signing Darren Bent's goals helped secure a ninth placed finish after a springtime dalliance with the wrong end of the league. Randy splashed £24m on the Sunderland striker to insure against the unthinkable. So there was cause for low-level optimism: after all, McLeish was inheriting a better squad than he had at St. Andrews, he could call upon on an enlarged squad crop made possible by Houllier's faith in youth - and he had won Blues some silverware (so ruining Villa fans "one hundred years and won f*** all" Blues tribute song). ﻿Instead the footballing fair all season was lamentable. McLeish had a reputation for setting up defensive teams and he took his confidence-sapping pub-team mentality and placed it upon the shoulders of a good team built by Martin O'Neill. I deliberately took a seat next to the bench for Villa's home game with Wigan, so I could see how McLeish managed during game time. While clapping the flicks and tricks of Barry Bannan, he seemed to exchange a negative comment immediately afterwards with his coaches. I'd heard talk from another reporter that he didn't think the youth were good enough; a real kick in the face for the likes of Albrighton, Clark, Herd and Delph, who'd figured largely in Houllier's plans. McLeish never looked assured in the job. But it could've been all so different if Villa had appointed a boss with less panic and conjecture. No less than five names were in the frame in advance of the surprise link to the Birmingham City manager. David Moyes was the early rumour. I had it on authority from a former Villa player now connected in the world of agents that the Everton boss had had two meetings with a representative from Villa's board. To the disappointment of many (including me), that's as far as it went; whatever issues Moyes had at Goodison were settled without the story emerging from the shadows. Then suddenly and without any advance warning, Mark Hughes quit Fulham. The Welshman had just completed an eighth-placed finish at Craven Cottage, a place, a point and a seventeen goal better goal difference than Villa. The betting exchanges took this as a definitive job offer from Villa Park. How wrong that proved: in fact, owner Randy Lerner was said to have been spooked by Sparky's Cottage walkout. Matters then got a little out of hand: Villa set their sights on Champions League winner, Rafa Benitez. But he gave short shrift to the Villa opportunity and swiftly rejected Randy's overtures. Former England manager and umbrella model, Steve McClaren was called for interview - within 24 hours, he was told by Paul Faulkner not to bother turning up. No explanation was given and the disappointed McClaren, who wanted a return to England after disappointment at Wolfsburg, had a short-lived spell at Forest. The spotlight then fell on Wigan's Roberto Martinez: a last day Premier League survivor with a win at Stoke. The Spaniard had cultivated a reputation for playing good football at both Swansea and the DW Stadium. But his special relationship with Dave Whelan put paid to Villa's chances. Meanwhile, the close-season clock was ticking: other clubs had completed their summer signings, pre-season preparations were well underway. Still, no one was at the helm. When Alex McLeish's name started circulating on Twitter, I originally thought it was a joke. Birmingham City had already mailed out Season Ticket renewal cards with his picture, autograph and spiel to get behind a promotion push. Two days and £2million pounds in compensation later, the Blues boss was wearing a claret and blue tie, aiming to placate angry fans and win them over! Frankly, it was a terrible way to kick-off a new regime. The only relieved people must've been Messrs. Lerner and Faulkner, but even they must have hoped beyond hope to a bit of good fortune: McLeish's arrival was nothing like they'd chosen. This time, the board acted quickly, decisively and boldly: hiring a man who the fans are behind and with a fighting chance in the transfer market, with both time and available finance. Lambert speaks of energy, vigour and ambition: he's reawakened Norwich City with commitment and organisation. Villa represents a step up. He believes in Villa's potential and arrives from a place where he couldn't have fulfilled those dreams previously. Via Sporting Intelligence, Paul Hayward and Kevin Hatchard, here's a letter from inside the club to the Venky's as Blackburn were sliding to inevitable relegation. Paul Hunt was trying to stop it happening. I have been your senior officer at the club for 6 months now and I feel that I must now write to you to ask you to make some significant changes to save the club, perhaps from relegation but also perhaps from administration. In twenty years of the Premier League there has been only one side that was bottom of the league at Christmas that has survived relegation at the end of the season. With the bank closing in, I fear that they will look to foreclose and have the potential to implement financial restrictions upon the club that could (as a worst-case scenario) enforce administration. Big Sam heading for Prem with friend? I have kept quiet for a time now out of utmost respect and I trust that you realise that I am only emailing you now as I want what is only the best for Blackburn Rovers and the owners. I am very much of the opinion that we can save the club and I have always been very supportive and positive towards the owners. Therefore I hope you know that what I am saying is considered, honest, constructive and from the heart. I am aware that that when we met in April, we said we would look at this within the first year. I believe now is the right time to promote me to CEO. The "Deputy" title is confusing to staff, supporters and media. I am confident that I now have the knowledge to be able to deliver strong progress. We have a great club, good team and an excellent range of staff that I feel can take this club forward, given the right support from the owners. Naturally, with extra responsibility I would like extra salary and I would be happy with a relatively modest increase with the promise of a good bonus and increase in salary in the summer that would reflect the improvement in position. I am currently the lowest paid senior club official in the Premier League. As you are aware Barclays have asked for the owners to put £10m into the business. This needs to happen and I am confident that this could only be a loan as we would increase the value of the club significantly. With all the speculation in the press the playing staff value and overall club value is depreciating on a daily basis. By putting an end to this the owners would be protecting their investment, putting their trust in the executive team and the club. The position with the finances is a cause for grave concern. Auditors KPMG have put as many obstacles as they can in the way of signing off the accounts due to their concerns. We continue to try and work with Barclays but they are very quickly losing patience as we cannot give answers. We have been forced to agree to additional spending against our wishes (Christmas hampers, sponsoring the Princes Trust event etc) and I am fearful that the situation will only get worse. You may also be aware that HMRC (tax authorities) have been chasing Portsmouth Football Club for a debt they owe. HMRC have made a technical mistake in law and therefore cannot claim the money they are owed. They will make sure of course that the next football club that falls out of line, won’t be so lucky. We need to make sure that this club is not Blackburn Rovers. Publicly I have been asked to support the manager and I always have as I personally like Steve. I have supported him from the start and have been desperate for him to do well. However, I am now of the opinion that it isn’t working and he is ready to go. He has lost the crowd and as a result of this evening’s game has lost the dressing room as well – the players no longer want to play for him. It is a shame and disappointing but we must act now to save the club. The board should be asked their opinion in who should be the new manager. The board has over 60 years football experience between them, it would be a travesty not to rely on that experience for the biggest decision the club will make this season. The new manager should now report into the board who then recommend and endorse his wishes to the owners. Allow the board to protect the owners from the media, supporters etc. sure, we need to be prudent. However, if we had more information on your plans, strategy and thoughts going forward (after assisting you in formulating that strategy of course) then we can support and deliver growth. Without knowing the plan, we will of course be guarded and suspicious. With our fiduciary responsibilities as directors, if the club goes under, the directors (including Vineeth, Mahesh and Gandhi Babu) are all potentially personally liable for that failing and the courts could take our houses from us. My family do not deserve this. Another big issue is the PR and the fact that a lot of it in the past has come from India, without our knowledge. ALL press statements need to come from Ewood Park with me as the spokesman. That way we can control all the output and protect the owners. I will take on an experienced PR consultant who will advise the board/owners. It will be someone who will be aware when any negative stories are about to hit the press. We must now remove the club from being headline news for the wrong reasons. A full PR strategy needs to be instigated from January 1st that re-engages the owners with the supporters – the owners need to trust us in this regard as we know our customers. As owners you are not protected. Use the board (and manager combined) as a buffer zone to the media, the bank, the fans and we will protect you. I want to tell the media that what they are printing is not true but the truth is that I do not know. It is clearly evident that neither yourself, Bala or Venky currently feel comfortable coming to Ewood Park. If we as an executive team had more say, day to day running and authority, we would be able to support you and take all the criticism ourselves. The damaging story in the Mail on Sunday has caused players, staff and the supporters much concern. We need to invest time in stopping leaks leaving the club. To be able to understand the strategy and to assist the owners, the executive team of myself, Simon Hunt and Karen Silk must visit India once every two months as a minimum. This way we can be together on all issues and help to craft them with our experience. I am happy for the new manager to be a part of that delegation and would welcome his input. I am very concerned that I have not met with you properly during the six months I have worked at the club. You have asked me to deal with things locally but to be able to do this, as I have asked before, I need a greater understanding of your aspirations so I can deliver on them. If you keep me informed and learn to trust me, I can be your mouthpiece. The owners must attend games in Blackburn as often as possible and I would suggest that at least one of the owners is present for at least a quarter of the games. The staff needs to meet you and get to know you too – whenever I have met the owners, I feel warm and strong and you instil in me the fight to face challenges and win. The supporters also need to meet you and we need to get the message of solidarity out there as quickly as possible. be allowed the latitude in this. In Simon Williams we have someone who is against the owners and spreads the word wherever he can. I am disappointed I was not allowed to remove him from post in the summer, when he and the rest of the staff were expecting it. We must act soon in this regard and look to review other positions and then give the staff great morale. We are losing fans/customers at an alarming rate. I am very concerned that fans are voting with their feet and not attending, not purchasing and not engaging with the club. Research shows that only 5% of ex season ticket holders will ever return. We are losing sponsors and suppliers. I am concerned we will lose Umbro if we continue to manufacture Rovers shirts in India for the RoverStar programme. Their contract specifically disallows this and we are putting at risk £800k of annual revenue. The Blackburn Rovers and Venky’s brands are both suffering terribly. Whilst there are negative goings on such as protests, complaints, media stories, unhappy fans etc, then both brands are losing brand equity and consequently, losing value. I am also concerned that the Premier League will intervene soon as they may take the view that their brand is being tarnished by association too. It is all reparable of course but we must start to act now by building bridges with fans and the media as above. I am disappointed that we have not managed to progress as I would have liked over the past 6 months. I for one was very excited to be given the opportunity and wanted to assist the owners in delivering strong progress for the club. However, we have been too busy fire fighting (protests, media intrusion, finance issues) to do this so far. As you know, I like to be proactive but the current climate only allows us to be reactive. I feel impotent as I am not asked by yourselves about my opinion on matters. I joined the club to make a difference, not to sit by and simply action instructions. I appreciate that my advice will not always be acted upon but I am disappointed that I am not asked. I have a great deal to contribute and have great experience. I won't get it right every time but will always do my best and learn from any mistakes. My concern is for the staff. They have put up with a lot recently and are still supportive. They live in the community and are being asked questions by their friends and family but cannot answer them. They are also being challenged at the games and when they come into contact with fans. Most are junior or part time staff who are feeling under pressure. I am concerned that they are going to become too stressed and will look to get jobs elsewhere. We have some great staff and cannot afford to lose them. I may be speaking out of turn here, but I am also concerned that no one reports everything to you, that is, everyone tries to report positive news and are not overly forthcoming when negative news needs to be told. By not having the full details, anyone would find it difficult to make decisions that encompass all the facts, all of the time. I am sure that if you were exposed to the full story, no matter how negative sometimes, that you would do the right thing. I need to be able to report a little more readily to you and on an infinitely more regular basis. Please don't view this as me questioning the owners unjustly. Please be reassured that I do question things, it means I am doing things right for the club and the owners by not accepting things lightly. This is how I work and how I must continue to work to get the best for Blackburn Rovers. With my experience of Blackburn now and my previous experience at three other prominent clubs, I do feel as though my suggestions come from a position of strength and can make a huge difference to life at Blackburn Rovers. I would very much appreciate an opportunity to speak with you on these points by invitation to India. Without instigating these points it will get more and more difficult to deliver progress for the club. I call on the owners to act, to play their part in the investment that puts all our minds at rest, and then allows me and the executive team to initiate all of the above points for the greater good of Blackburn Rovers. He mightn't have been your choice as England boss but are you right behind Roy? I am and here's why. He was appointed by the FA without recourse to interview. The favourite Harry Redknapp didn't even get a look in. But we shouldn't be too surprised by Hodgson getting the nod. His appointment follows a distinctly conservative course plotted by the FA recently. As the media were completing the coronation of David Dein as FA chairman, it was David Bernstein who was crowned behind the scenes too. Next phone call: West Bromwich Albion! Bernstein was very complimentary to them in the news conference. 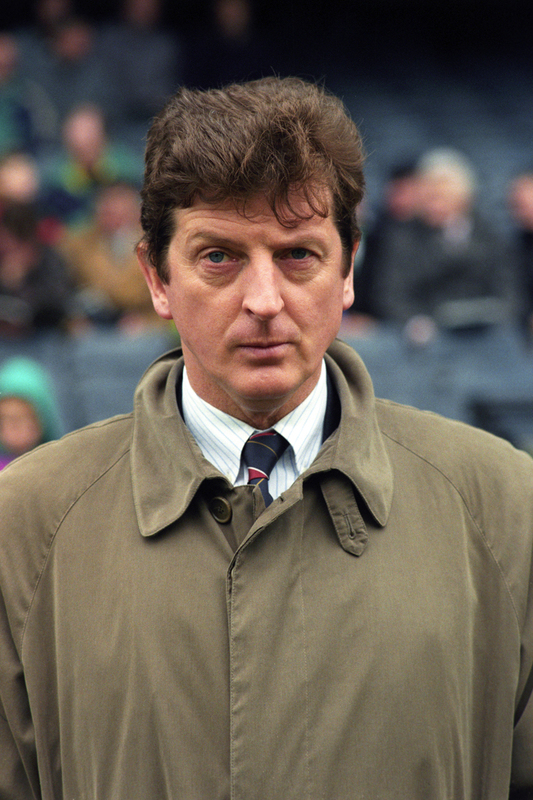 But Hodgson's greatest credentials may lie within his consensus approach to management. He admitted his first job will be to get John Terry and Rio Ferdinand talking again after the two fell out over the racial abuse Terry's accused of shouting at Anton Ferdinand during Chelsea's game at QPR earlier this season. He admitted to being great friends with Harry Redknapp, who graciously left voicemail of congratulations on Hodgson's mobile. 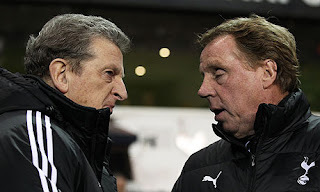 Roy said he and Harry were cast as great rivals for now, but will resume a great friendship again soon. It's these perceived qualities of so called lesser importance that my well yet lead to success at international level for the WBA boss. Because what is being international manager anyway? It's nothing like being a club boss: he's not with his players everyday. Instead he steals a week with them before each international and a few weeks during tournaments. His plans for selection are ripped up during the rigours of a league season, and there's no such thing as canny dealings in the transfer market to strengthen a squad. Mind you, Jack Charlton did his best to persuade non Irishman to his cause (and succeeded). ﻿﻿﻿﻿Of his international and European credentials, Hodgson is second to none in experience. England will be his fourth international assignment. Throw in Inter twice, Blackburn and Liverpool (neither of which went that well) and he's managed the very best. We well remember the success of Fulham's Europa League season ending in final defeat to Atletico Madrid two years ago. There's an element of good fortune in the timing of Hodgson's appointment too. He has just 40 days and 40 nights to make England ship shape. Like Roberto di Matteo's highly succesful tenure as Chelsea caretaker, I think he'll pay respect to the elder statesman who earned England qualification instead of opting for youth in some sort of fitful revolution. Promising phone calls to the leading characters in the squad will give him a clear view of their togetherness in advance. It's easy for him to tell the gathered media that reaching the quarter-finals of Euro 2012 is a realistic target in a way that Fabio Capello couldn't possibly have in charge over four years. Hodgson's managed expectations just by arriving in time for the plane to Poland and Ukraine. He's called for unity and only a foolish lobby wouldn't grant him that. Yes, probably like you I fancied Harry for the job, but I'm right behind Roy and I'm asking you to be too.